Charles Petty, Ph.D., CSP, CPAE, is a humorist who has spoken to over 3200 different audiences in 50 states and 14 countries, primarily on work/life balance. He has the rare ability to package profound, life-changing truths in humor. He has a soft southern accent and uses clean, original humor. He says, "My job as a speaker is to put a smile on faces, information in minds, motivation in hearts, inspiration in spirits, and - make the program planner look good." 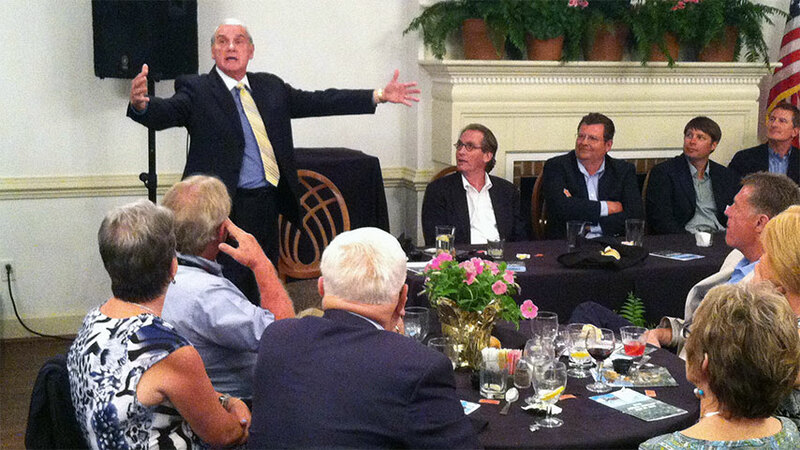 His presentations are perfect for a keynote or following a meal, and especially when spouses and guests are present. Dr. Petty is President of Family Success Unlimited, located in North Carolina, and since 1985 all he does is "eat and speak." 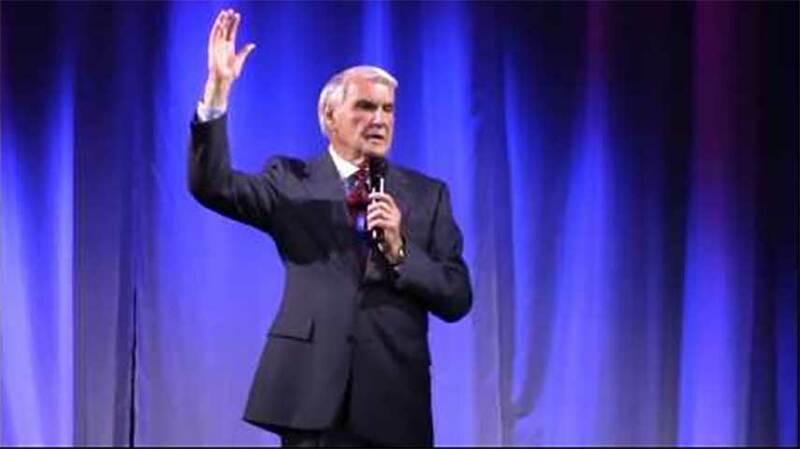 He was inducted into the National Speaker Hall of Fame in 1998, joining such speaking legends as Art Linkletter, Norman Vincent Peale, Earl Nightingale and Zig Ziglar. Dr. Petty speaks to trade associations, businesses, chambers of commerce, volunteer and civic organizations, as well as teachers and educators. His presentations can last minutes or hours, be primarily funny or more educational, whichever the program planner wants. He has spoken to as many as 27,000 or as few as 3! 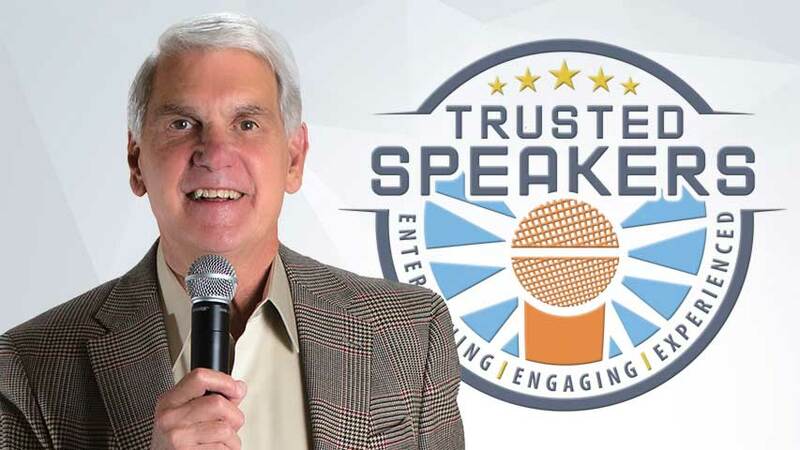 His venues range from the 21 Club in New York City to Mr. B's Buffeteria in Hiawassee, GA. His presentations motivate, inspire, entertain and inform his audiences. The reason for his popularity is simple: Audiences laugh and learn! Charles was reared on a farm in Arkansas and was educated in Arkansas, Mississippi and Texas for 22 consecutive years, which means he is either well educated or a little slow! He has been a counselor, visiting professor, executive in large corporations and on the North Carolina Governor's senior staff. He is married and has two grown children, four grandchildren and a grand dog. "I want to thank Charles Petty for being a vital part of our conference. Among the feedback received was 'Charles was a great speaker. We need more positive, remind-us-of-our-mission-type speakers… He was wonderful!... I loved Charles Petty… good to be nourished in spirit… Dr. Petty was an outstanding combination of an entertaining speaker who educated us on soft skills… Mr. Petty was awesome!... Please bring Charles Petty back.' Thank you again!" Where does Dr. Charles Petty perform? Dr. Charles Petty has recently performed in: Alabama, Arkansas, Florida, Georgia, Iowa, Missouri, Nebraska, New Mexico, North Carolina, Ohio, Oklahoma, Oregon, Tennessee, Texas, Virginia, Wisconsin, Wyoming, just to name a few.